Once the seat of authority for many dynasties including the great Chalukyas and the Kakatiyas, the Nagunur town is home to many interesting constructions. One such amazing place is the Nagunur Fort. It is one of the most renowned historical forts that date back to the Dynasty of the Kakatiyas. The Nagunur fort is home to a host of important temples dating back to the 12th to 13th century. Some of the prominent temples of Nagunur include the Vaishnava Temple, Shiva Temple, Main Trikuta Temple, and the Ramalingala Gudi Temple. Located at a distance of 8 km north-east of the Karimnagar city, Nagunur village holds a lot of prominence in the history of Karimnagar of Telangana. The inscriptions that were found at the fort state that it had a lot of important significance as both political and religious center in the medieval times. Inside the fort, there is cluster of ruined temples that were erected during the periods of Kalyani, Chalukya and the Kakatiyas. The most important is the triple-shrine dedicated to Lord Shiva. It is also the biggest temple present there. The temple takes its seating on an upapitha and it has a very alluring hall and a porch on the north. 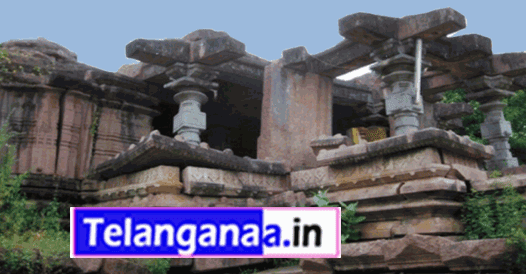 Nagunur Temple is located around 60 km from Karimnagar town and is well accessible by road.